The CWF is the three-year plan that allows participants to gain relevant work experience while taking evening classroom courses on the Information Security Common Body of Knowledge and being individually mentored by an established cyber security professional. Each year will be divided into two semesters (Fall semester and Spring semester) of four months each, giving a total of eight months of 'mission support training' in a year. The first year will start with a preparatory month attending a four-week intense initiation Cybersecurity Master Class. This will provide a solid introduction to the primary main domains of Cyber Security as well as exposure to the relevant technical vocabulary and industry practices. During this first year, a process of matching candidates to a cybersecurity team will be done based on both available positions as well as on the candidates’ domain interests. At the end of Year one, you'll take the Systems Security Certified Practitioner exam (SSCP) or equivalent. The second and third year will start directly in the fall and will not require a preparatory month as in year one. The second year you will mainly put your attention to cloud security and in the third year you will take the Certified Information Systems Security Professional (CISSP) exam or equivalent. With two or three years of work experience within an established company and cyber security team, three years of connections and mentoring, three technical certifications as credentials, and with your previous years of work experience, a successful 'graduate' is part of the local ecosystem of cybersecurity professionals and is comfortably a mid-career professional in an exciting, in demand and rewarding profession! Are you interested in cybersecurity? Do you wish to change your career? Are you ready to commit yourself and let your knowledge grow? Then yes! We aim at women with or without a technical or IT backgrounds, ideally with transferable skills gained in other life and work experience, wishing to transition full-time into a career in cybersecurity. The primary success criteria, and our asked commitment, is courage, a drive to learn, a curiosity with the subject and a time commitment. This will require a significant personal commitment of learning for three years attending evening and weekend seminars in downtown Brussels, working diligently with your mentor and challenging yourself daily in your new role as a cybersecurity practitioner and defender! Is this program for mY COMPANY? We take the risk out of hiring newcomers into your cybersecurity team. The candidates are pre-filtered for motivation, curiosity, drive and 'grit.' The program ensures a participatory approach and a constant learning growth mindset that is so important to success in cybersecurity. We all know that we all must be constantly learning or else we are falling behind. By engaging your company and team with CWF candidates you are getting a three-year accelerated growth profile that is making a deep dive into all aspects of cybersecurity, from an introduction to ethical hacking and OSINT through governance and ISO 27k. The support network of mentors and instructors ensures that candidates have access to global top-shelf resources and support throughout their learning process. The CWF curriculum, pedagogy and especially community is designed to last long beyond the three year program. The energy of these excited starters, strivers and accomplishers serve as an exciting addition to any cyber team! 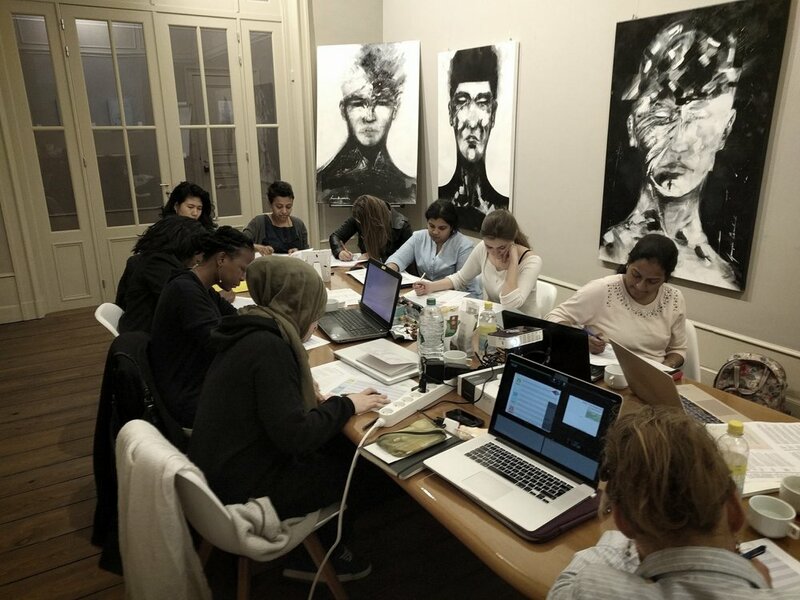 Enabling women with the skill-set necessary to start and accelerate a career in cybersecurity to address the skills and diversity shortage in the cybersecurity industry. Cybersecurity teams in all sectors are facing rapidly changing threats and challenges that require the creative thinking of diverse and multidisciplinary teams that can respond with innovative solutions. We also need people who are willing to work hard and love their jobs!